This Saturday-Sunday stretch will feel very much like July. But with so much going on in Montgomery County – including several events indoors – there’s no reason to sit home and stew that there’s nothing to do. 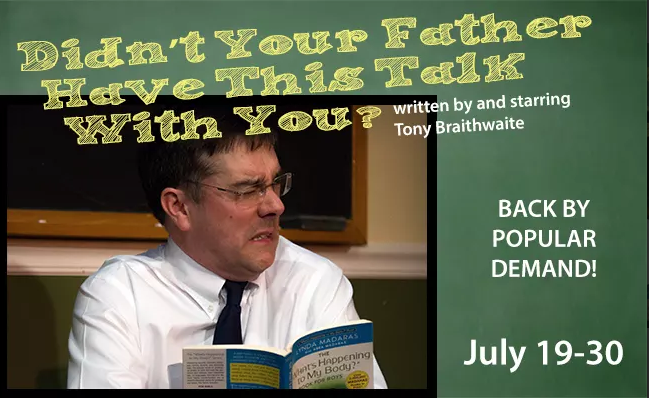 Tony Braithwaite of Act II Playhouse brings back his one-man show, a series of personal reflections of his years teaching human reproduction to students at St. Joe’s Prep. 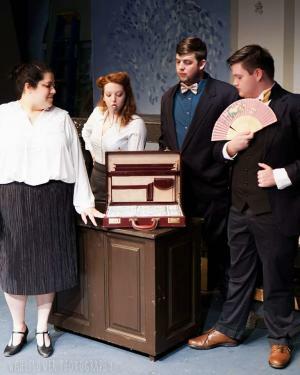 This funny, improvisational and touching performance ran to rave reviews and long box office lines last time it appeared in Ambler. Urinetown is a satiric musical about a lengthy drought and its effect on water usage, including bathroom habits. 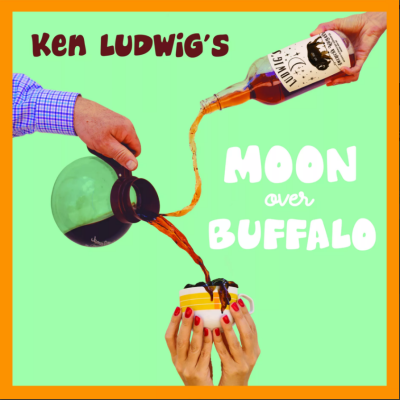 The Tony Award-winning script parodies everything from corporate greed to boy-girl romance. Our review from opening weekend confirms that the production by Playcrafters of Skippack is excellent. Scuttle over to Shannondell Performing Arts Theater for a flippin’ good time. 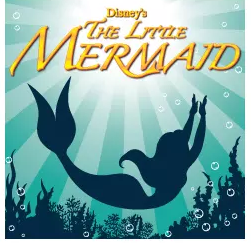 Methacton Community Theater’s presentation of the Broadway version of Disney’s classic features the beloved characters, including headstrong Ariel, evil Ursula and comical Sebastian the crab. The musical score has been augmented, and the dance styles range from romantic waltz to up-tempo tap. This madcap comedy centers on two fading stage actors who may have one last shot at stardom if they can just keep their act – and relationship – together. On the brink of divorce, George and Charlotte learn that a famous Hollywood director is coming to their matinee. Everything that can go wrong does go wrong in this side-splitting farce at People’s Light. Santa may be red, but chances are, it’s from the heat, not his traditional suit. 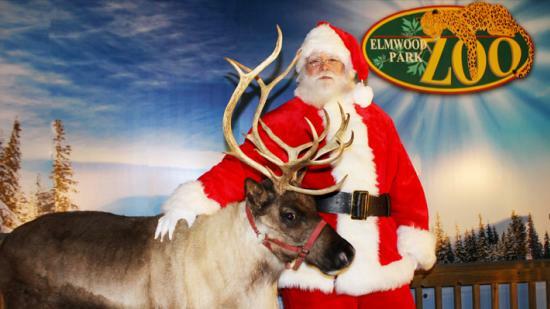 Regardless, he’ll be onsite at Elmwood Park Zoo in all his jolly July-ness, for meeting, greeting and photographs. Wear something red, green and Christmassy and take $2 off zoo admission. Santa’s appearance is 12-2 p.m.
WMMR’s Preston and Steve host the third annual belly flop championship at Valley Beach at Valley Forge Casino Resort. When the contest kicks off, ten brave souls in themed costumes will face-plant into the crystal water of the pool, vying for a $500 grand prize for the biggest, loudest splat. Tradesmen formed a large part of the colonial world, where nearly every household item was handmade. 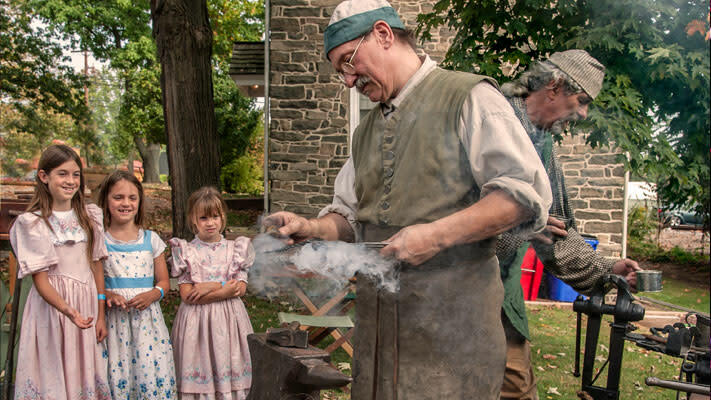 This event at Pottsgrove Manor showcases these artisans’ work in multiple materials of the era, including tin, iron and copper. What a better setting for a story than the library of the home of artist and naturalist John James Audubon? The tale will, of course, center on an animal, and once everything is declared to have ended “…happily ever after,” participants will make a themed craft to take home. The program is free, but reservations are requested (610.666.5593). This presentation at Green Lane Park begins at 8:30 p.m., after sunset. The dusky conditions will aptly suit its purpose, to attract moths, those little-understood light-seekers who bap up against lightbulbs this time of year. After you preregister for this free session (610.234.4528), show up at the park office with your own flashlight. 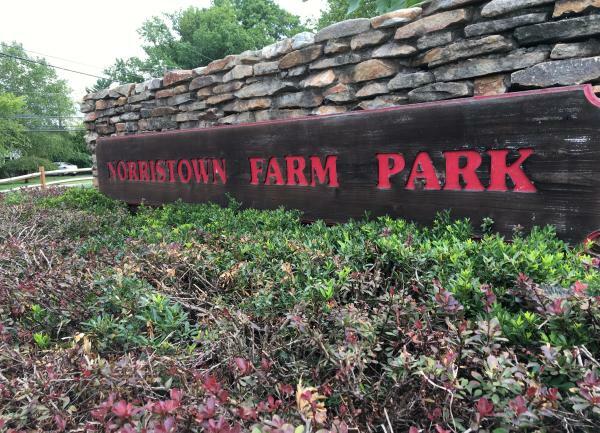 Norristown Farm Park will be abuzz with activity when its resident beekeeper, Don George, begins explaining this honey of a topic. He’ll address the biology of home beekeeping, as well as explain why local honey production is declining. He will also offer attendees a sample of this natural nectar. The early-morning summer sun paints the landscape of Morris Arboretum in gold, making it especially appealing for photographers, nature lovers and walkers. The grounds open at 8 a.m., providing the chance to enjoy the shining dew on more than 12,000 plants in the arboretum’s living collection. 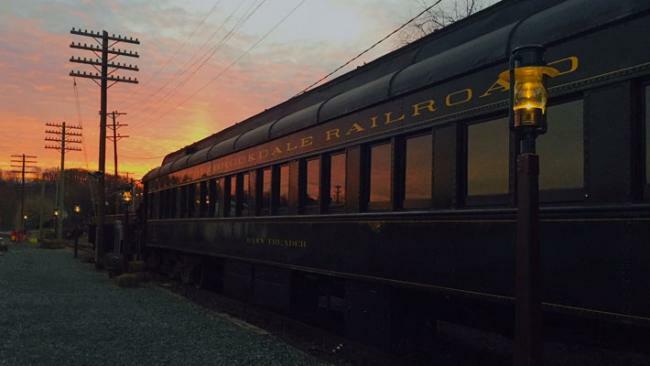 The lush café car of the Colebrookdale Railroad caters to vegans/vegetarians with this excursion called the Firefly Express. That title reflects the possibility of seeing lightning bugs along the way, given the 6 p.m. departure. But it is also a nod to the menu from Boyertown’s Firefly Café, a restaurant that specializes solely in agriculturally based ingredients. If you’re finding the summer sliding by with precious little time spent bonding with your children or grandchildren, introduce them to the retro delight of whirling on a colorful, mechanical animal. 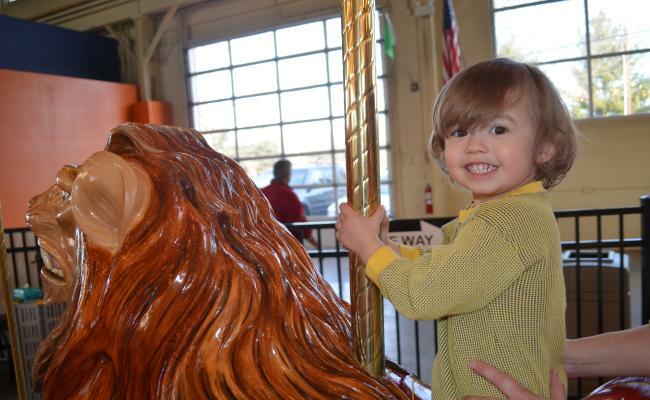 For an authentic ride on a hand-painted wooden giraffe, tiger or even dragon, the Carousel at Pottstown is as good as it gets. Admission is free; parking is free; and rides are only $2. Can’t juggle a full-fledged vacation into your busy summer calendar? 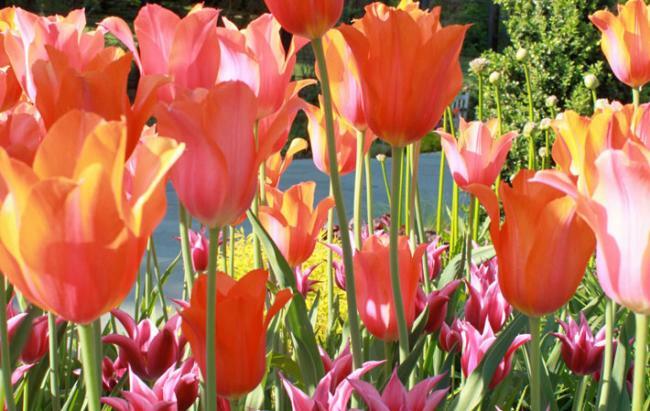 Take a mini-break by checking into one of the luxurious hotels in Montgomery County, Pa. Visit a museum, take in a concert, have a meal on the town, float in the pool and bask in a stress-free getaway.